Today was indeed the last day of the Texas State Fair. We were actually supposed to go, but Kyler changed his mind. Oh, well, maybe next year. 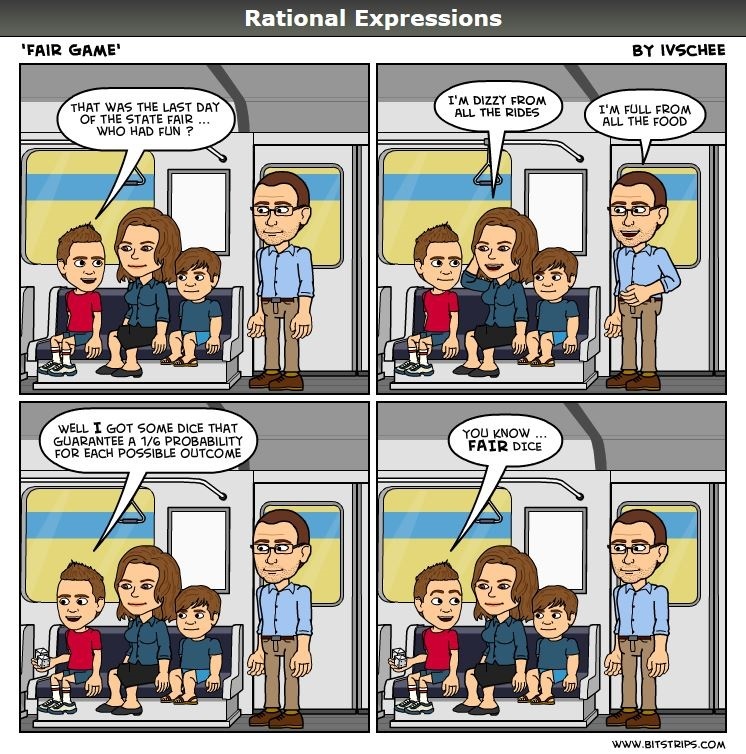 Posted on October 20, 2014, in Rational Expressions - A Comic Strip. Bookmark the permalink. Leave a comment.